Last week, the Sabagh family received a notice from the Execution Office stating that it had to vacate its home in Kerem Ja'ouni in Sheikh Jarrah until January 23. If the family does not vacate the house by then, it will face eviction by force. The eviction lawsuit against the Sabagh family was filed by a company called “Nahalat Shimon”, which represents settlers seeking to build a large settlement in Sheikh Jarrah. The settlers purchased the land from two Jewish associations, the Sephardi Community Committee and the Knesset Israel Committee, which in turn claimed to have purchased the land at the end of the 19th century. In 1948 the land, which was then without structures, was transferred to the Jordanian rule. The Jordanians designated the land for the resettlement of dozens of Palestinian refugee families who exchanged their refugee statues for homes in the newly-built neighborhood in Sheikh Jarrah. After 1967, the Jewish organizations recovered the ownership rights on the land and began to demand that the refugee families vacate their homes. To that extent, the associations were exercising the "right of return" of Jews to assets taken in 1948 (a right not afforded to Palestinians). Peace Now: "This is part of an organized and systematic campaign of settlers, with the assistance of government agencies, to expel entire communities in East Jerusalem and to establish settlements in their stead. Dozens of other families face the risk of eviction by legal proceedings in which settlers and government officials exploit discriminatory laws that allow Jews to return to pre-1948 assets yet forbid Palestinians from doing the same. In this way, settlers seek to create a buffer inside the Palestinian neighborhood and make it difficult to reach a territorial compromise in Jerusalem so essential to a two-state solution. The state announced this week to court that the Lahav 433 police anti-fraud organization, as well as the State Prosecutor's Office, will be “examining” Peace Now’s complaints of two cases of illegal construction in the Binyamin Region Council area of the West Bank. The announcement came following two petitions that Peace Now filed to the High Court demanding that the Police and the State Prosecutor open investigations against the heads of the Binyamin Regional Council, the Amana settlement movement and other bodies that were involved in big projects of illegal construction in settlement outposts. One petition was about the establishment of the illegal outpost of Kerem Reim (west of Ramallah), and the other petition was against the construction of 21 housing units in the illegal outpost of Hayovel (south of Nablus). The hearing of the petition concerning Hayovel will take place this Monday (7/1/19). Peace Now: For 50 years now, a handful of settlers have been using public funds through the settlement councils and Amana to put facts on the ground that affect the future of all of us in violation of the law and of the government's decisions. The hesitation of the State Prosecutor's Office and the police to investigate the organized crime of illegal construction in the settlements is tantamount to granting immunity to the offenders and shows a lack of respect for the rule of law. The message the government is sending to the settlers is that they are above the law. The Higher Planning Committee approved today and yesterday construction plans for 2,191 housing units in the settlements. Another plan for 68 new housing units in Givat Ze'ev was discussed but no decision has yet been made. 87% of the units approved can be found in the isolated settlements that Israel will likely need to evacuate within the framework of a two-state agreement: 1,908 units east of the proposed route of the Geneva Initiative; 283 units west of it. 1,159 housing units have been approved for validation (the final major hurdle before it is possible to issue building permits) and 1,032 housing units approved for deposit (the first stage of the planning process after which the deposit of the plan is published). Two plans are designed to regulate illegal outposts, giving them legal status - Ibei Hanahal and Gvaot. One plan establishes a new settlement adjacent to the Mitzpeh Danny outpost in the form of an educational institution with boarding schools and residential units. Three plans for new settlements in the form of new industrial zones. In 2018 in total, the amount of units in plans advanced came to 5,618 units, of which 83% (4,672) are in the isolated settlements east of the Geneva Initiative line. The full list of settlement plans advanced can be found here. Peace Now: In 2018, the government advanced thousands of housing units, including most which can be found in isolated settlements deep inside the West Bank that Israel will eventually have to evacuate. Those who build these places have no intention of achieving peace and a two-state solution. The latest announcement, which as an aside was cynically passed on Christmas while most Western governments are on holiday, shows that Netanyahu is willing to sacrifice Israeli interests in favor of an election gift to the settlers in an attempt to attract a few more votes from his right-wing flank. Regulating the outpost of Ibei Hanahal (Plan No. 413/4/1) for the construction of 98 housing units in the outpost of Ibei Hanahal was approved. The outpost was established in 1999 without permission or building permits in a remote area southeast of Bethlehem. The plan defines the settlement as a "neighborhood" of the Ma'ale Amos settlement, enabling the government to avoid having to formally declare the establishment of a new settlement. Download APN’s Facts on the Ground for FREE on iPhone or Android. 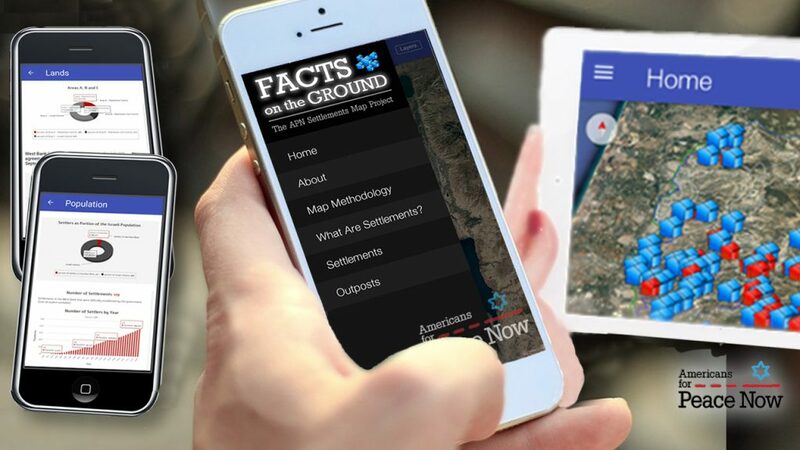 The new Facts on the Ground is a completely revamped and upgraded version of the groundbreaking settlements map app. With the help of Peace Now‘s Settlement Watch – the most authoritative, credible source on settlements – Facts on the Ground gives users the ability to track, explore, and gain a comprehensive understanding of the settlements. As a mobile app designed to be used by policymakers, diplomats, journalists, teachers, students, and anyone else interested in the Israeli settlement enterprise, Facts on the Ground is truly one-of-a-kind. Israel's 51-year-old occupation of the West Bank – which denies Palestinians their rights, corrodes Israeli society and democracy, and continually damages prospects for Israeli-Palestinian peace – is fundamentally anchored in the Israeli settlement enterprise in the West Bank. Settlements stand in the way of a two-state solution by preventing a viable, contiguous, independent state of Palestine, a purpose for which they were explicitly designed. 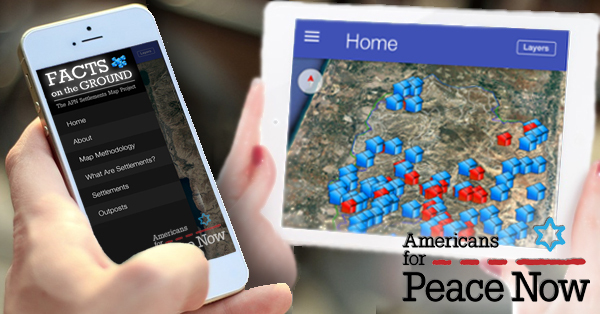 That’s why Americans for Peace Now is today releasing Facts on the Ground, a new, completely revamped and upgraded version of the groundbreaking settlements map app, available for free on iPhone and Android. Download APN’s Facts on the Ground for iPhone or Android. The Israeli Central Bureau of Statistics today published data on construction starts in Israel and the West Bank, indicating that in the second quarter of 2018, 794 new apartments were built in the settlements, compared with only 279 in the first quarter. In the first half of 2018, construction began on 1,073 settlement housing units, compared to 870 in the first half of 2017. Peace Now: The Netanyahu government continues to destroy the chances for peace. Further construction in the settlements undermines Israel's interest in reaching a two-state solution, as such a solution will not be stable without a viable Palestinian state, which settlements increasingly threaten. Unfortunately, since Trump's election, we have seen a sharp increase in the approval of the plans and tenders, and now we are beginning to see the consequences of these approvals on the ground. The Higher Planning Committee of the Civil Administration approved today (August 22, 2018) plans for 1,004 housing units in the settlements, 96% of which are in isolated settlements that Israel will likely need to evacuate within the framework of a two-state agreement (according to the Geneva Initiative model). In addition to the approval of the plans, and according to media reports, the government intends to promote hundreds more housing units by issuing tenders, as well as promoting a future plan for some 300 units in Beit El. Two plans for the legalization of illegal outposts, which were supposed to be discussed today, were removed from the agenda following the instruction of the Ministry of Defense. One of them, "Haro'e Ha'ivri (Nofei Prat South)," which was established illegally in 2015, is located just 1.5 km away from the Bedouin community of Khan Al-Ahmar that the Israeli government plans to demolish. Since President Trump was elected the government promoted plans for 10,536 units and tenders for 5,679 units in West Bank settlements. Information obtained by Peace Now indicates that the Binyamin Regional Council concealed tens of millions of shekels in funding for Amana, an organization that stands behind the establishment of most of the illegal outposts in the West Bank and is involved wide scale illegal construction in settlements. Many more millions were granted to political organizations, striving to affect public opinion and government bodies to support the settlements and to help the right-wing ideas. Every local authority in Israel, including those in the West Bank, is allowed to allocate funds to non-government organizations for the benefit of its residence, in the framework of transparent criteria, and to limited list of causes regulated by the Israeli Ministry of Interior. The funding for all of the West Bank local authorities is coming from the Israeli government in addition to local taxation, collected by the localities from their residence. Following a Peace Now petition under the Freedom of Information Act, the Binyamin Regional Council was forced to disclose detailed information about the funds it provides to non-governmental organizations. The information shows that between 2013 and 2015, the Council distributed over NIS 65 million to various organizations. 85% of the support funds (more than NIS 55 million) were transferred to political NGOs striving to affect public opinion and government bodies to support the settlements, and to Amana, which engages in illegal activity. Only 15% of the funds were transferred to other non-profit organizations that deal with welfare, education, sports, etc., in accordance with the regulations of the Ministry of Interior. 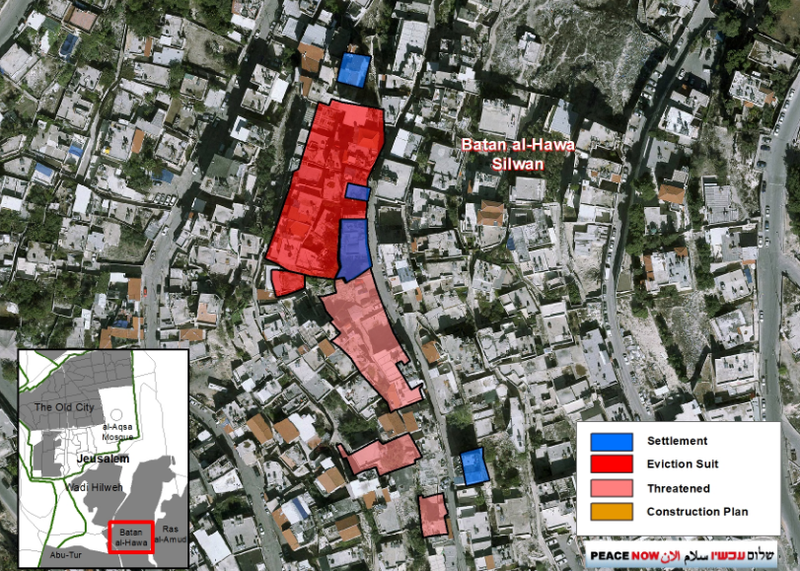 On Sunday, June 10th, the High Court of Justice is expected to hear a petition filed by 104 residents of Batan al-Hawa (Silwan) against the Custodian General demanding the cancellation of the transfer of their land to radical settlers. The petitioners are all representatives of Palestinian families against whom there are pending eviction lawsuits, based on a discriminatory law that permits Jews to reclaim properties in East Jerusalem that they lost in the war in 1948. The petitioners' main arguments are related to the question of ownership of the 19th century Jewish trust that the settlers are claiming to represent today. 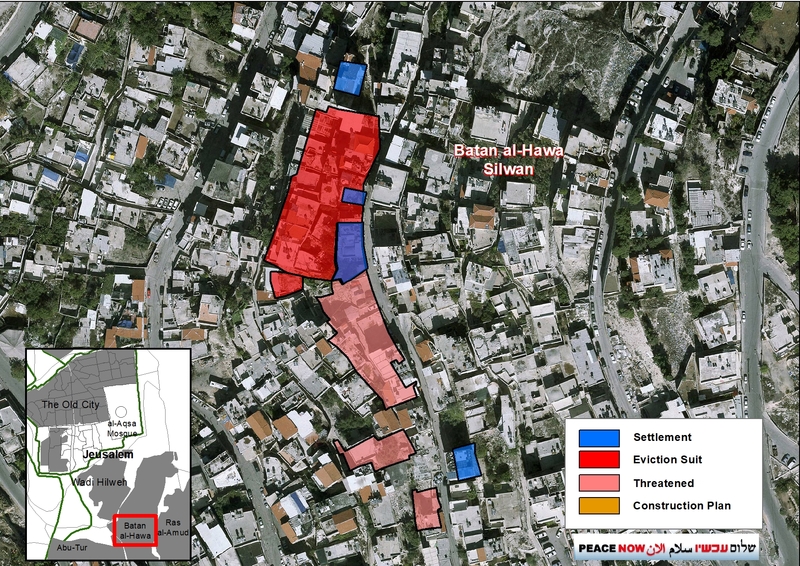 The evacuation claims against the Palestinians in Batan al-Hawa are part of a campaign of eviction lawsuits against entire neighborhoods in East Jerusalem (Batan al-Hawa, Umm Haroun and Karem Ja'ouni in Sheikh Jarrah). For many years, there has been an organized governmental effort to take properties in East Jerusalem from Palestinians and to transfer them to settlers. In the past it was mainly through the Absentee Properties Law, but today the efforts are done mainly by the use of the Legal and Administrative Matters Law of 1970. Until recently, this effort was disastrous for individual families who lost their homes, but now the aim is entire neighborhoods (in Batan al-Hawa and Sheikh Jarrah). Since the horrifying expulsion of the Mughrabi neighborhood from the Old City in 1967 there has been no such move in Jerusalem. In recent years there has been an increase in the threat of expulsion hovering over the communities of Sheikh Jarrah and Silwan in East Jerusalem. A wave of eviction lawsuits is being conducted before the courts, with well-organized and well-funded settler groups equipped with direct or indirect assistance from government agencies and the Israeli General Custodian. The basis for all claims is the same: the Legal and Administrative Matters Law enacted in 1970 by the Knesset determined that owners of properties in East Jerusalem that in 1948 were transferred to the control of the Jordanians, can receive it back from the Israeli General Custodian. The law was not applied to Palestinian land owners who lost properties in the same war and in the same circumstances in West Jerusalem, thus only Jews can reclaim their properties while Palestinians cannot. Examination of the protocols of the legislative process indicates that the legislators viewed a situation in which Jews would be able to return vacant assets, while in cases where the assets were occupied, they would receive financial compensation. The legislators took into account the personal connection of an individual to his property, but in practice, the law is being used by settlers who have nothing to do with the original owners. In the end, a mechanism was created by the government and the Custodian General to exploit the law in order to take control of Palestinian populated areas and to transfer them exclusively to settlers. This is a government move, and an attempt to present it as a personal conflict of property restitution is nothing more than feigning innocence. It is important to note that the Jewish owners of the properties received double compensation: through alternative housing received from the state in 1948, and financial compensation received from the settlers in recent years, aimed at serving the settlers' ideological agenda. This contradicts that legislators' original purpose. The individual right that the law sought to protect was made by the settlers and with the assistance of the General Custodian to the right of one (Jewish) collective at the expense of another (the Palestinian) collective. After the decision to annex some 70 square kilometers to Jerusalem in 1967, the Israeli government was required to deal with the anomalous situation of the residents of East Jerusalem, who found themselves under Israeli rule. This anomaly brought to some legal fictions that in practice are detached from reality. For example, the status of Palestinian residents of East Jerusalem as permanent residents of Israel was regulated by the Entry into Israel Law, as if they had recently come to Israel and had not lived here for years, and Israel was the one to “come” to them; or the Absentee Property Law applied to assets in East Jerusalem whose owners live in the West Bank, sometimes only a few meters from the property they own. The same applies to tenants living in properties that were owned by Jews prior to 1948: the ruling in courts determined for many of them that they enjoy the rights of protected tenants, and the proceedings before the court are conducted as if an ordinary civil dispute is taking place between a landlord and a tenant. There is nothing far from this, since this is an organized governmental effort that does not have any connection to the purpose of the Tenant Protection Law. Only by turning a blind eye can one ignore the real context of the proceedings. The Legal and Administrative Matters Law of 1970 was legislated in order to deal with many different issues concerning the areas and people annexed to Jerusalem in 1967. One of those issues was the status of properties owned by Jews before 1948. In the 1948 war some 20,000 Palestinians fled or were forced to leave their homes in West Jerusalem, and about 2,000 Jews fled or were forced to leave East Jerusalem, mainly from the Jewish Quarter of the Old City. The Law and Administrative Matters Law was intended to correct what it considered to be a historical injustice by restoring the property to its original Jewish owners. However the law was not applied to Palestinian properties, and it turned out that in one city, as a result of one war, two populations lost property, yet only one national group is entitled to repair the historical injustice and return its property, while the second population cannot, even if some individuals live just a few hundred meters from their properties in the western part of the city. This is the original sin of the law and of the settlements in Batan al-Hawa and Sheikh Jarrah. Examination of the protocols of the legislative process indicates that the legislators viewed a situation in which Jews would be able to return vacant assets, while in cases where the assets were occupied, they would receive financial compensation. The Custodian General plays a central role in the systematic evacuation of Palestinians from their homes and their replacement by settlers. The Custodian General assists the settlers in a variety of ways, and also issues lawsuits to evict Palestinian tenants from their property. The basic and longstanding policy of the Custodian General is to take first and foremost the rights of the original owners. 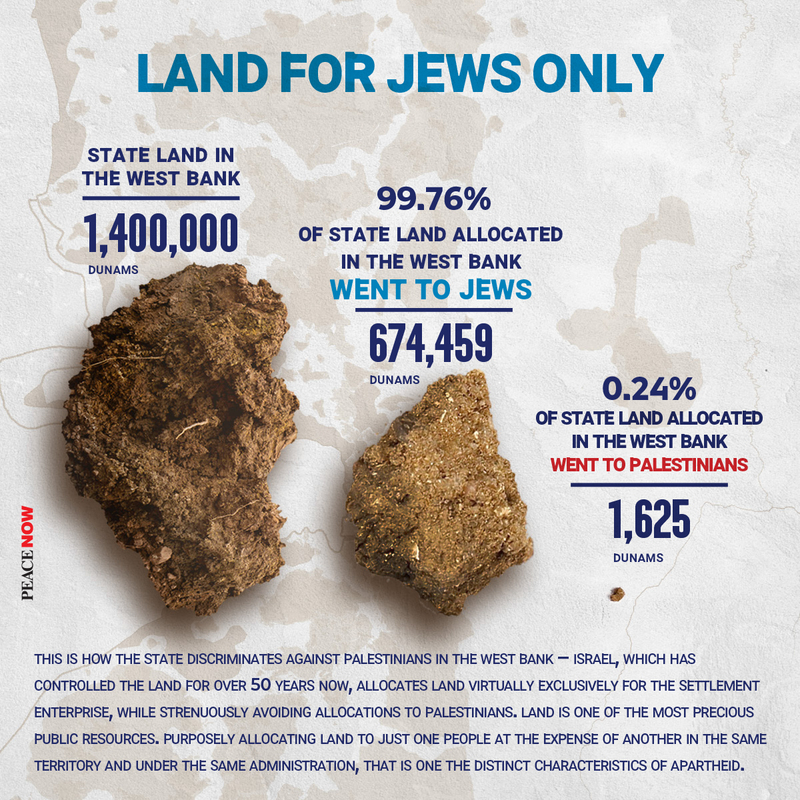 The Palestinians who live in the property more than 50 years are viewed as having a conditional right, at best. Assistance of the Custodian General - In Um Haroun (Sheikh Jarrah) for example, in past years the representatives of the Custodian General (CG) made tenants sign contracts claiming they are no longer protected tenants. The CG interprets the Protection of Tenants Law in a strict way using every opportunity to take the protected status from the tenants. In the last two years the CG issued several eviction lawsuits and sent letters threatening to evict Palestinian tenants. In Batan Al-Hawa, the Custodian General issued a certificate of release to the settlers who took over the management of the Jewish trust in 2001. In 2014 the settlers lost an eviction lawsuit against the Abu Nab family, because they failed to prove the borders of their property. At the time between the verdict and the appeal's hearing, the General Custodian issued a revised release certificate detailing the precise boundaries of the plot. Thanks to the new paper given by the Custodian, the settlers managed to win the appeal and the family was evicted from the house. Since the amended release certificate was issued in 2015, the settlers have filed another 9 claims against dozens of families. 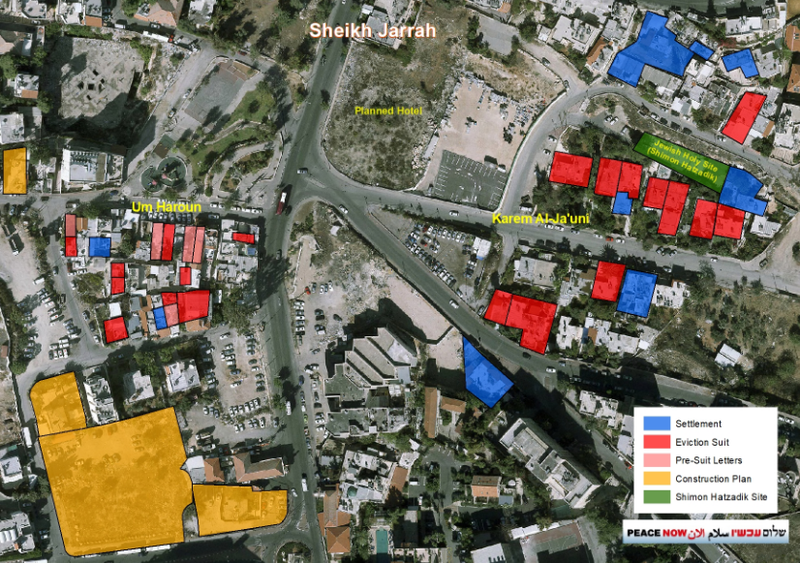 In addition, it turns out that in December 2005, the Custodian General sold to the representatives of the Jewish trust four additional plots that were owned by other Jews in Batan Al-Hawa, without a tender and at a low price. If the Custodian was indeed interested in selling the assets in good faith, he would have had to make a tender and offer the Palestinian residents of these properties the right to purchase them. But instead the custodian transferred under the cover of darkness four plots on which dozens or even hundreds of Palestinians live in the Batan Al-Hawah neighborhood to settlers who seek to evict the Palestinian residents and settle Jews there. Immediately: instruct the police not to secure the eviction - the police are entitled, for reasons of public safety, to refrain from sending police to carry out the evacuation, thereby preventing it. In the past, the police postponed many evictions of Palestinian families for reasons of public peace, and this was approved more than once by the attorney general. Assist tenants to continue to be protected tenants - For example, to ensure proper renovations of the properties, not to raise rental rates disproportionately, to stop eviction activities and to grant the status of protected tenants to tenants. Transfer rights when there is no owner - When no owners or heirs are found, the General Custodian can act to enable the Palestinian residents to purchase the rights of the property (this could be tricky if the General Custodian sells it to third parties). Stop assisting the settlers, either indirectly or directly, not in locating the properties, not in releasing them, nor in assisting in evacuation lawsuits. Stop using the settlers' services as lawyers or land-locating experts. Condition the release of the property on the undertaking of the heirs to reside in it for at least five years, In accordance with the legislator's intention to allow the return of assets and to prevent the exploitation of the law for the purpose of deporting Palestinian residents and replacing them with Jews. Defend justice - The Attorney General can instruct the State Attorney's Office to join as a party in any proceeding initiated by the Custodian General and to defend justice in favor of the residents. The legal advisor must express his opinion on the abuse of tenant protection laws which are completely alien to the real circumstances of the cases before us, and anchor the rights of the residents with remedies of justice. Establish an independent commission of inquiry to investigate the General Custodian conduct in recent years and its cooperation with the settlers. Expropriation - since 1967 the government of Israel expropriated about one-third of the annexed areas in Jerusalem (24 square kilometers) in order to build housing on which 55,000 housing units have been built for Israelis. 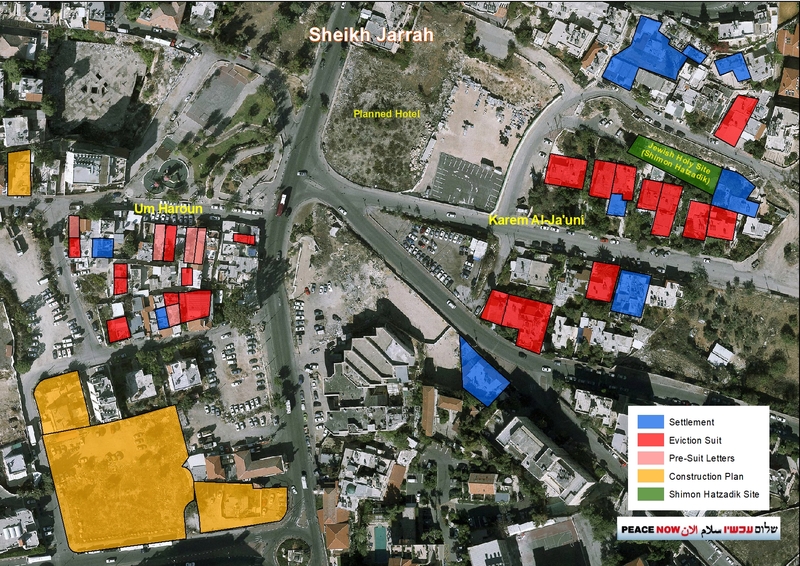 The expropriation of a few dozen dunams for Palestinian housing needs can be justified. Change of legislation - the Knesset can change or cancel the sections of the law that allow the return of assets.